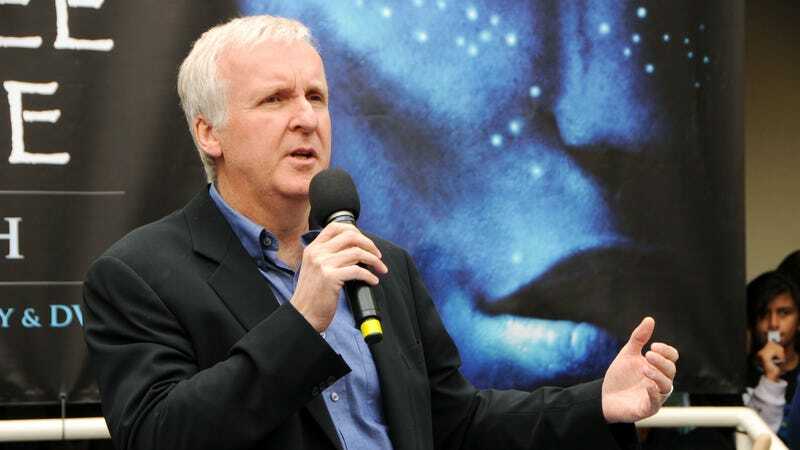 James Cameron’s Avatar came out in 2009, and while that’s not too long ago in terms of the history of the human race, it feels like an eternity in movie years. Now, in a movie that inadvertently underlines just how long it’s been since Avatar, Cameron’s highly anticipated (?) sequel has cast a handful child/teen actors who are definitely too young to remember when the first movie came out. This comes from Entertainment Weekly, which says some of the new young people are playing the Na’vi children of Sam Worthington and Zoe Saldana, others will be playing other Na’vi kids, and one will be an actual human kid who was born at a military complex from the first movie. Apparently, these kids will be very important to Avatar 2 and the future of the Avatar series, and producer Jon Landau says they’ll bring a “different kind of energy” to the movie. That may seem surprising, since Sam Worthington already brought so much energy to the last movie, but hopefully these kids work out better than the average kid actor who gets shoehorned into a big sci-fi movie. Either way, you can see photos and learn some more about them at Entertainment Weekly. Avatar 2 won’t be released until 2020, at which point some of these kids will probably be much older. Does anyone really remember Avatar?